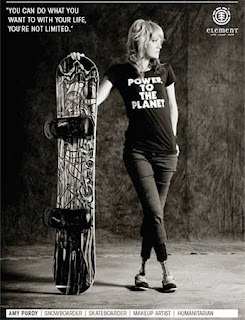 Media dis&dat: CNN names amputee snowboarder Amy Purdy this week's "Breakthrough Woman"
CNN names amputee snowboarder Amy Purdy this week's "Breakthrough Woman"
CNN's "Breakthrough Woman" for Christmas week is Amy Purdy (pictured). A competitive snowboarder who also happens to be a double leg amputee. Amy is beating the odds on the slopes and in life and now she's helping other adaptive athletes do the same. Robin Meade has the story in this "Breakthrough Women." For more information on Amy visit her website: www.amypurdy.com, and for more information on Adaptive Action Sports, visit its page at www.adacs.org.